If you called Lon Humphrey a knifemaker, we’d forgive you. He probably would, too. But the truth is, Lon’s a bladesmith. He crafts his blades the old-fashioned way — hands, heat, hammer and anvil. 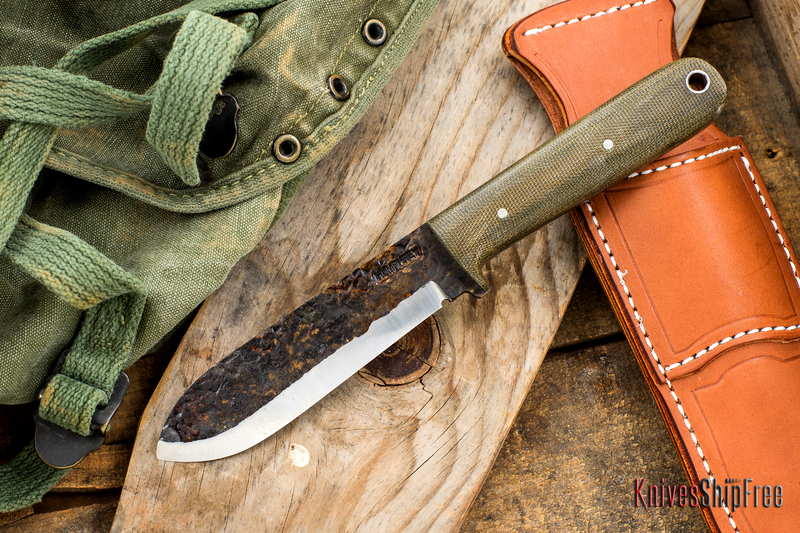 It’s appropriate, then, that one of the knives that’s helped build Lon’s growing reputation is associated with iconic woodsman Horace Kephart. Lon Humphrey makes great knives by knowing what makes a great knife. And his Custom Kephart, featured in today’s wallpaper image, is as close as you can get these days to the blade carried by Horace Kephart — simple, strong and forged by hand. To our eyes, it’s as beautiful as any we’ve ever seen. This entry was posted in Bushcraft, Customs, Lon Humphrey Custom Knives, Sheaths, Traditional and tagged Leather, Micarta. Bookmark the permalink.